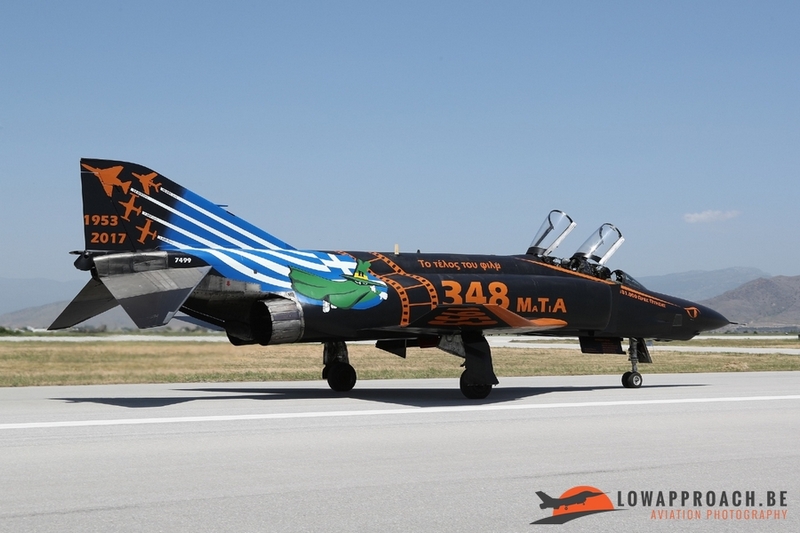 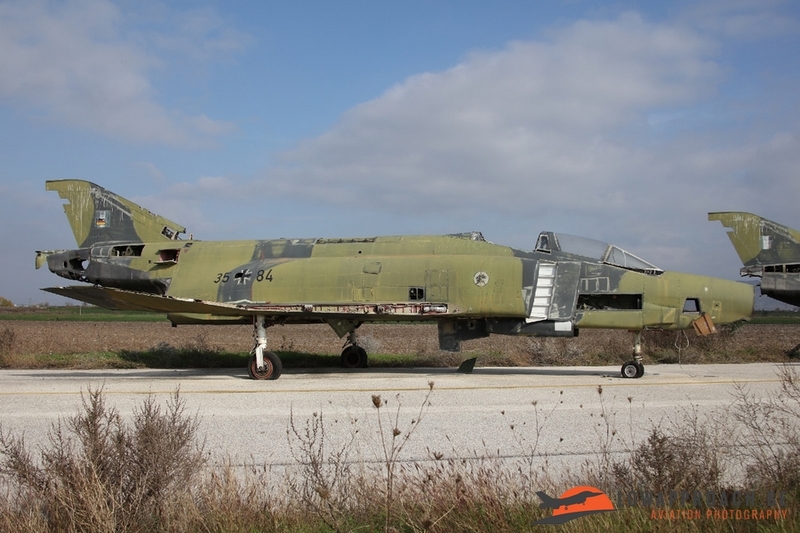 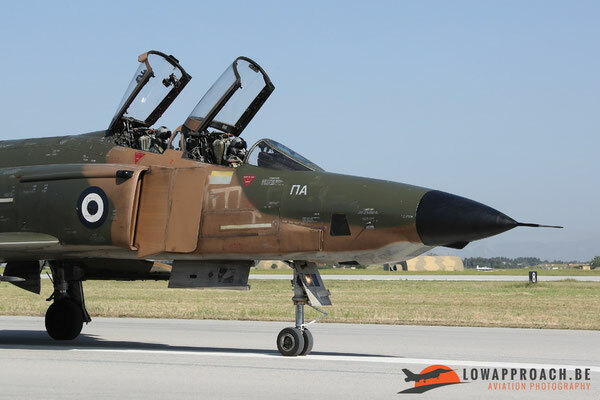 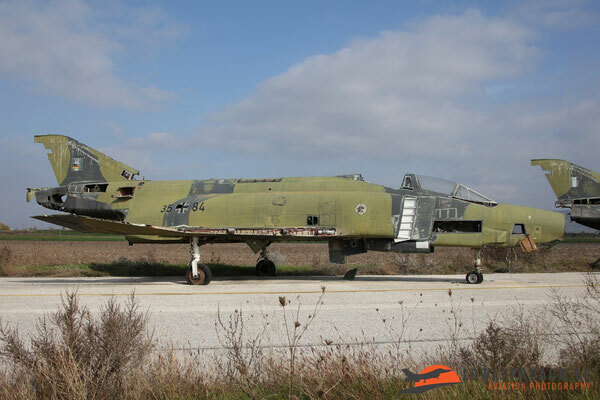 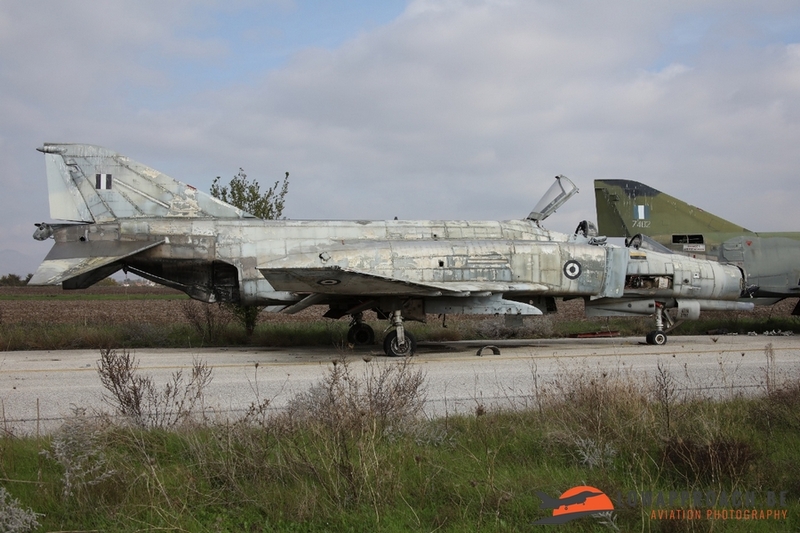 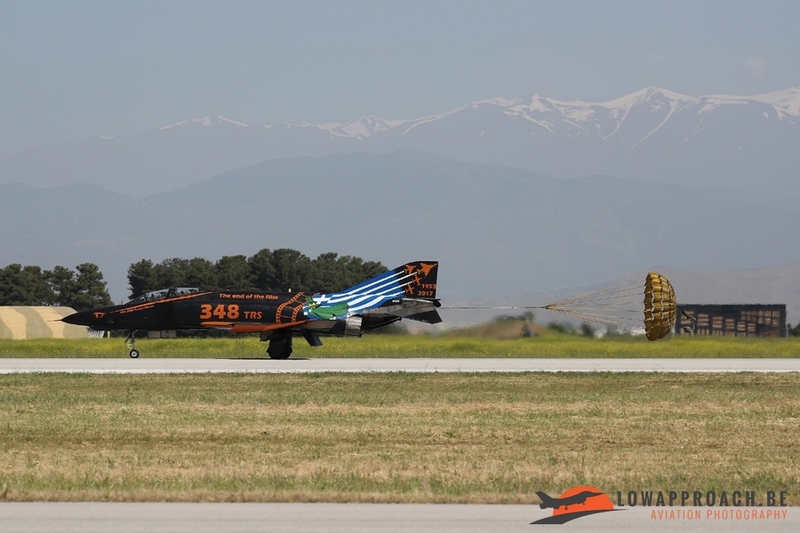 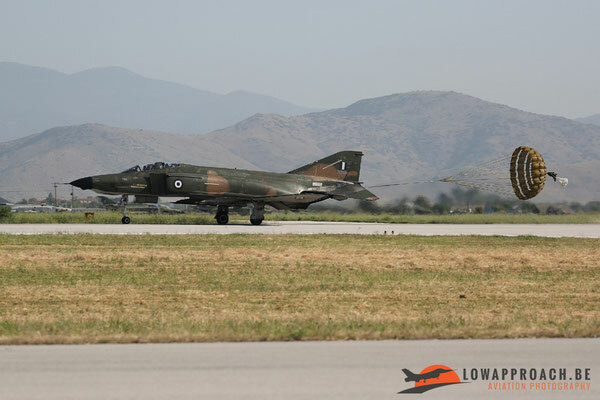 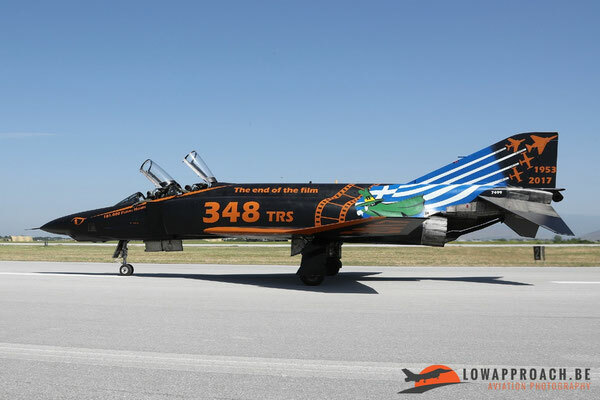 The 5th of May marked the final flight of the mighty RF-4E Phantom II in Greece. A small ceremony was held to commemorate this event. 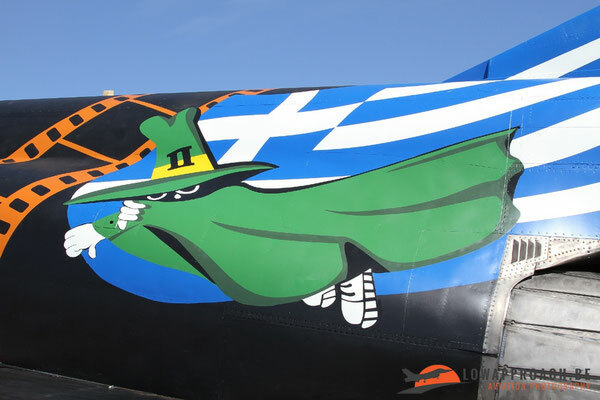 348 TRS was formed on the 20th of August 1953, being part of the 112th Combat Wing at Elefsina Air Force Base. The last type being used by the Squadron was a mix of different batches of aircraft. 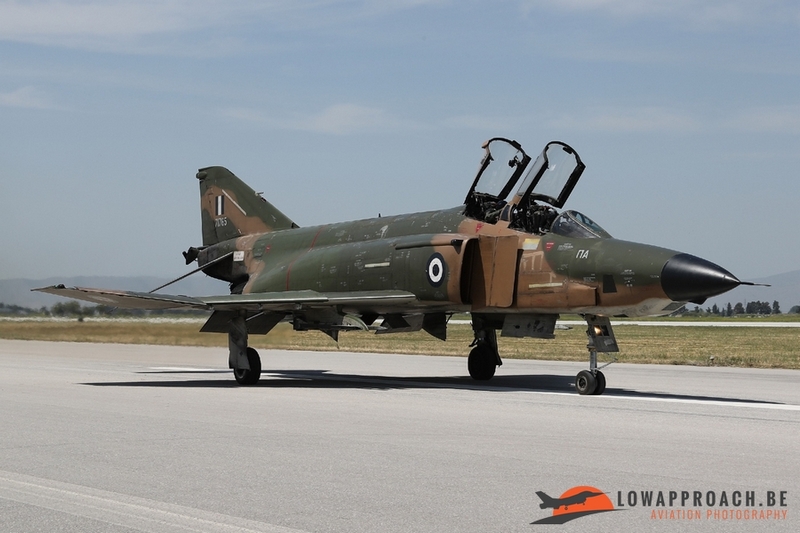 A batch of new aircraft ordered from McDonnell Douglas. 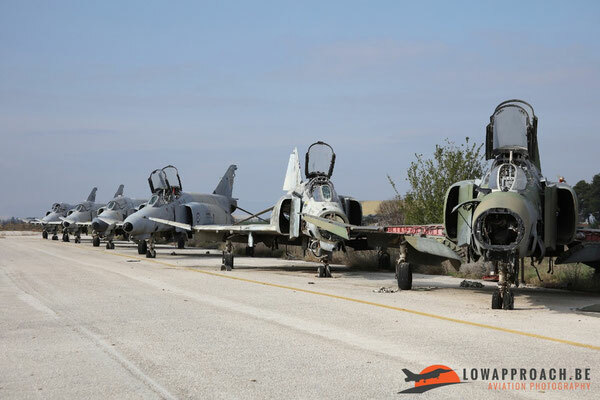 The second batch were aircraft obtained from the Luftwaffe. The first event was a spotters day on Thursday organized by the Squadron. 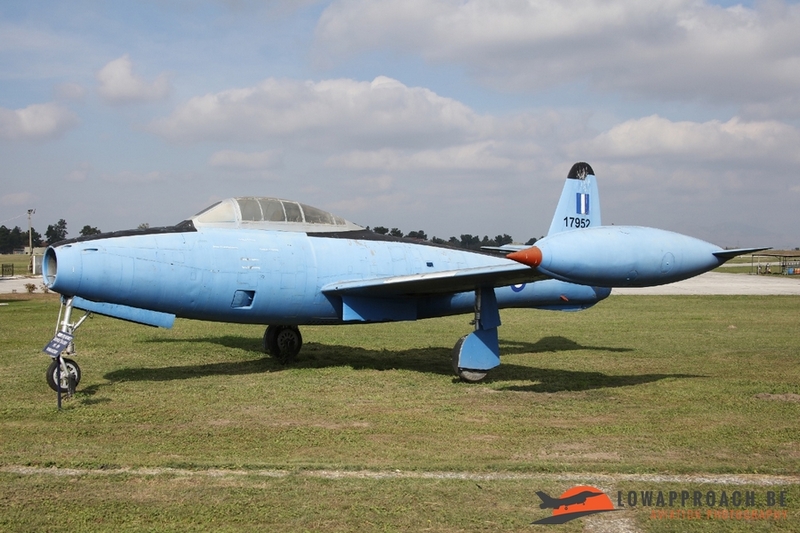 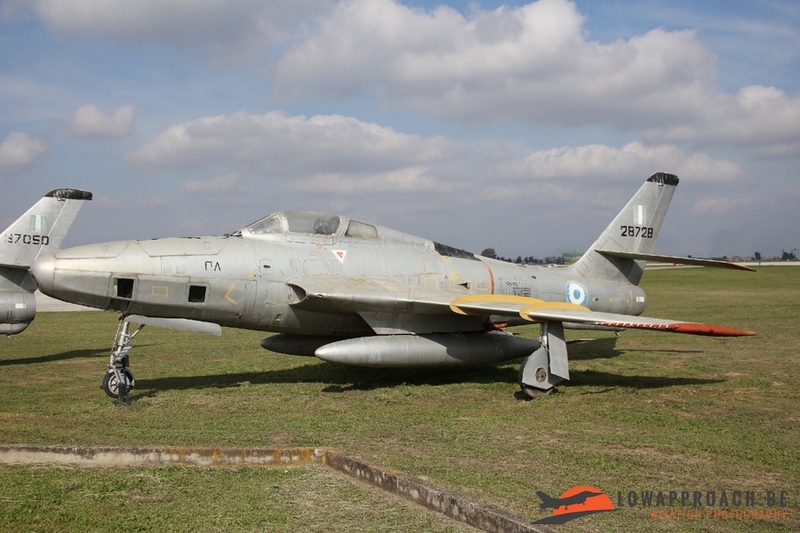 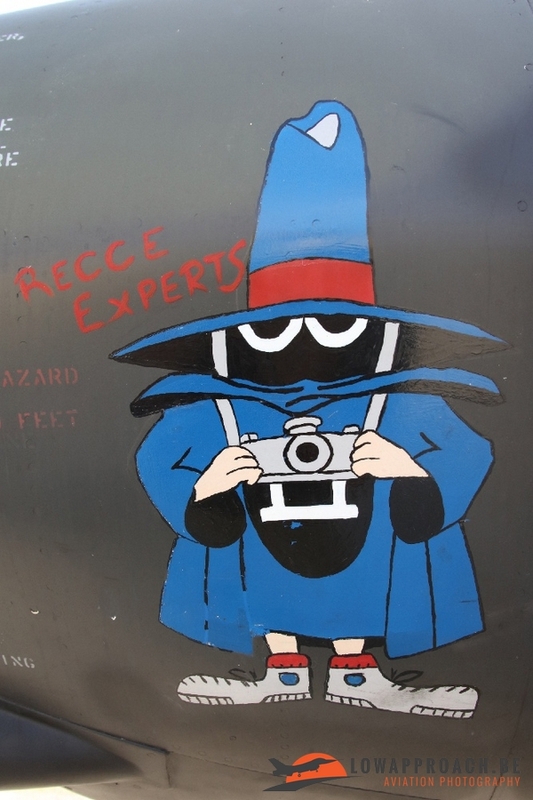 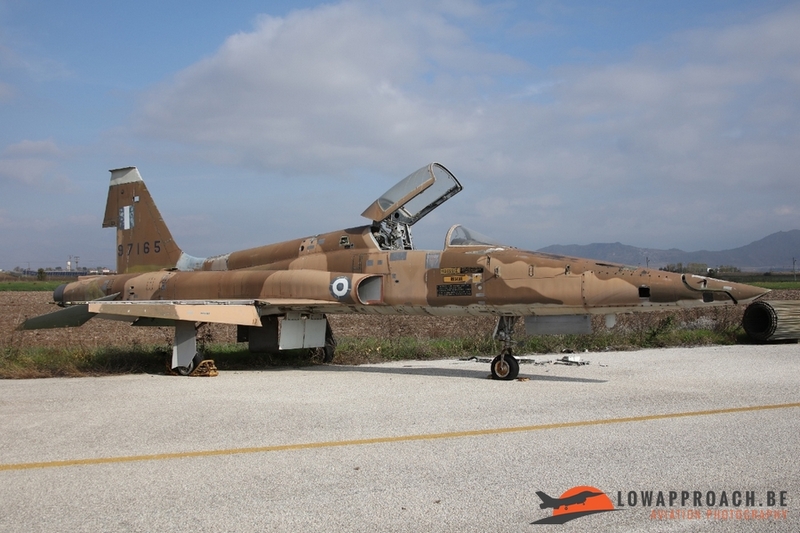 Sadly they did not receive any backing from the Greek Air Force Headquarters. 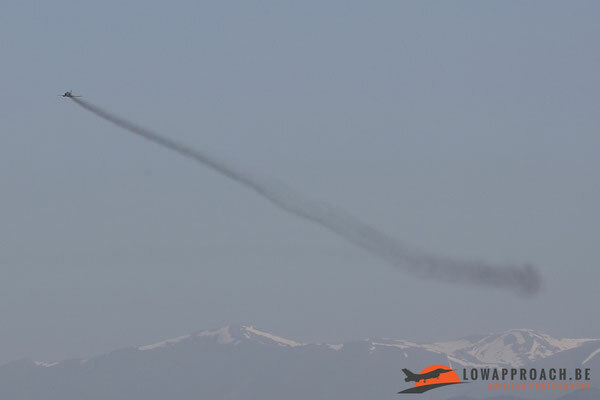 Resulting in a slow operational flying day. 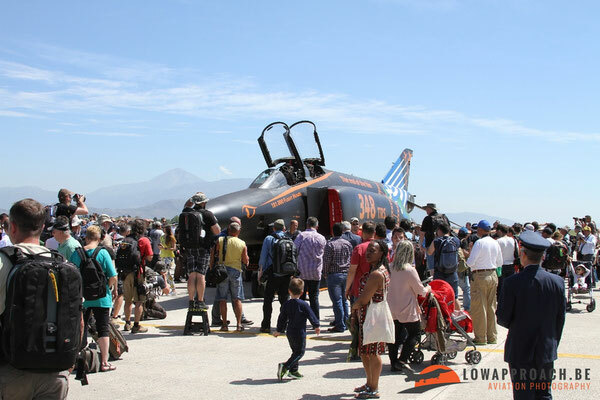 Very few visitors were lured to this event. 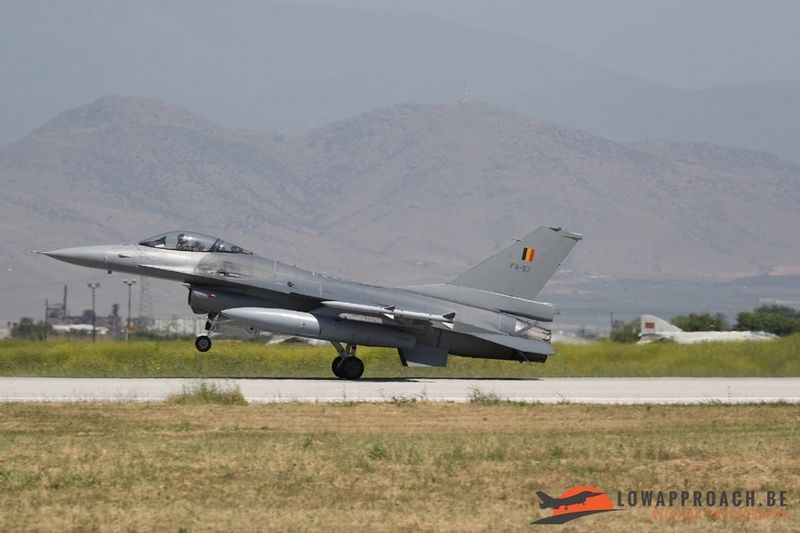 Some Belgian F-16’s made a stopover for a day. 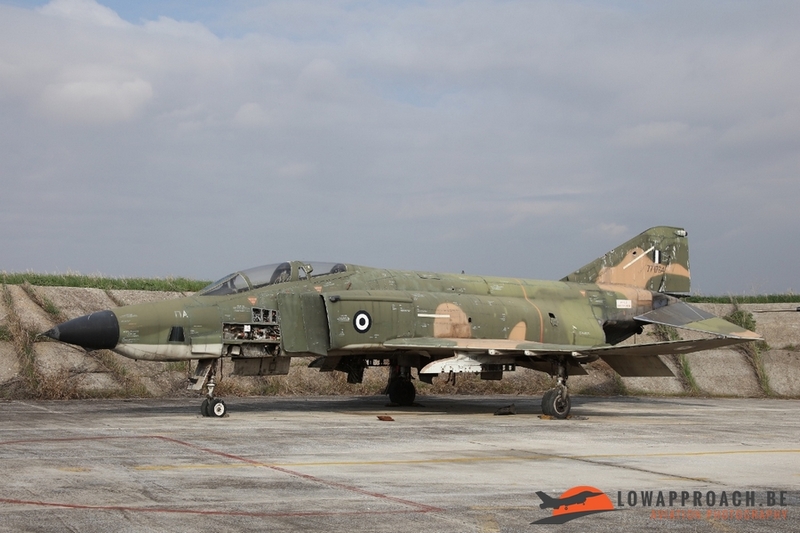 The three last operational Phantoms flew several sorties. But no fly-by’s for the several hundred spotters on base. Some local F-16’s also flew several sorties. On Friday the official farewell ceremony was held on Larisa AFB. 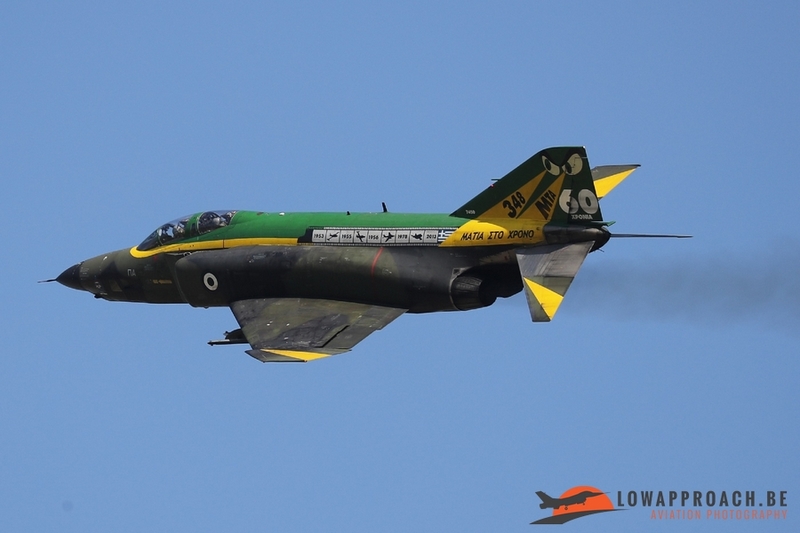 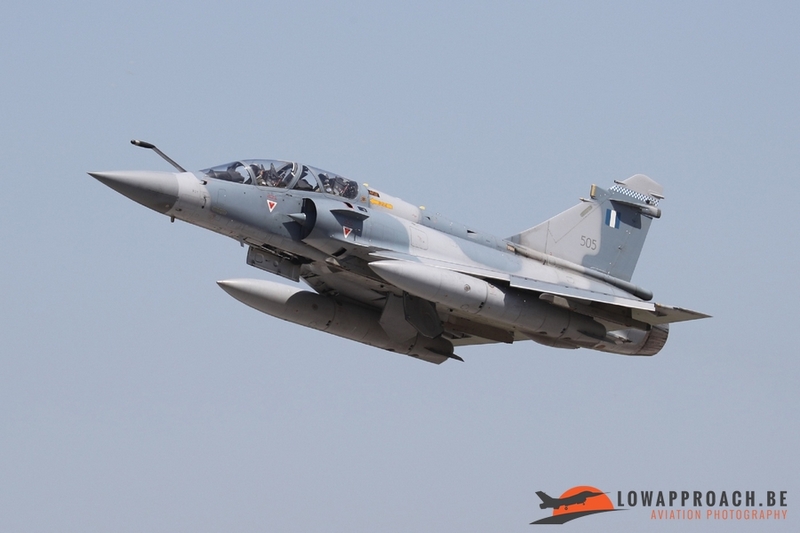 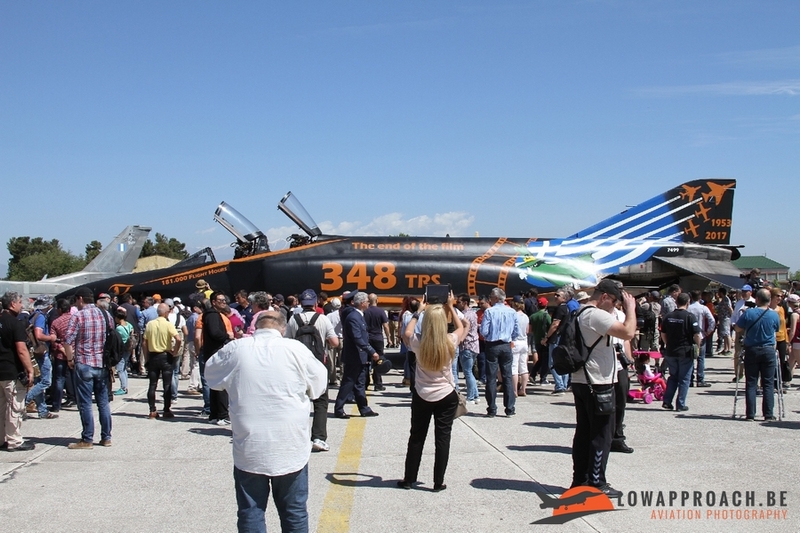 This event was open for the general public and consisted out of a formation flyby of the three last operational Phantoms, a Mirage 2000 and a F-16. 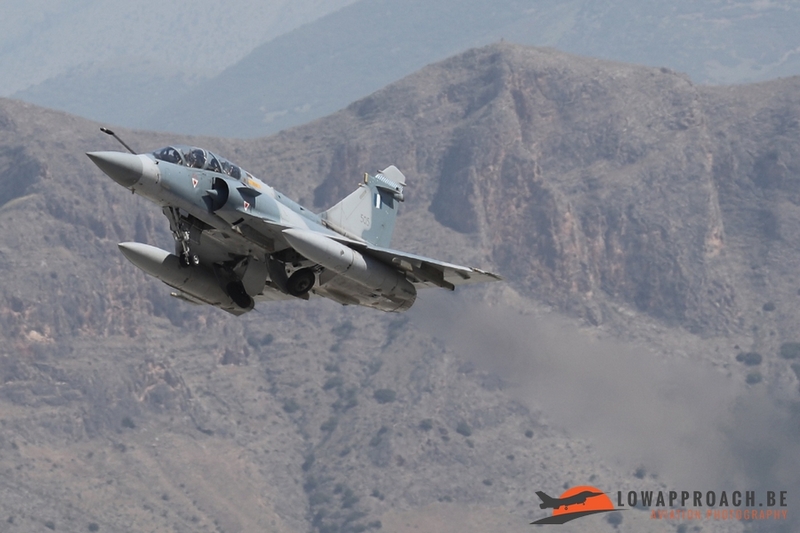 Sadly the specially painted Mirage 2000 in this formation crashed a week later. Luckily no injury for the pilot. 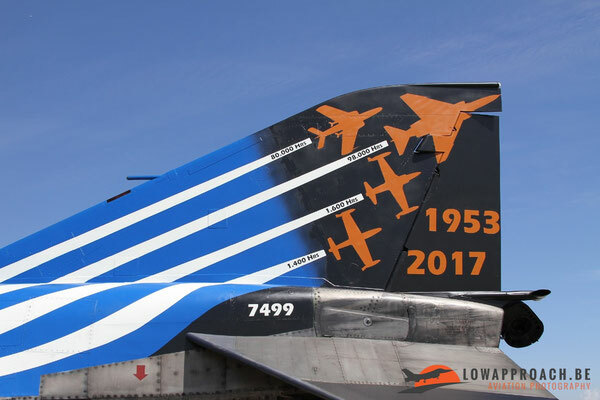 After the formation flyby the Phantom with the special paint “The end of the film” was parked between a F-16 and RF-84F. After its engines stopped people were allowed to get closer. 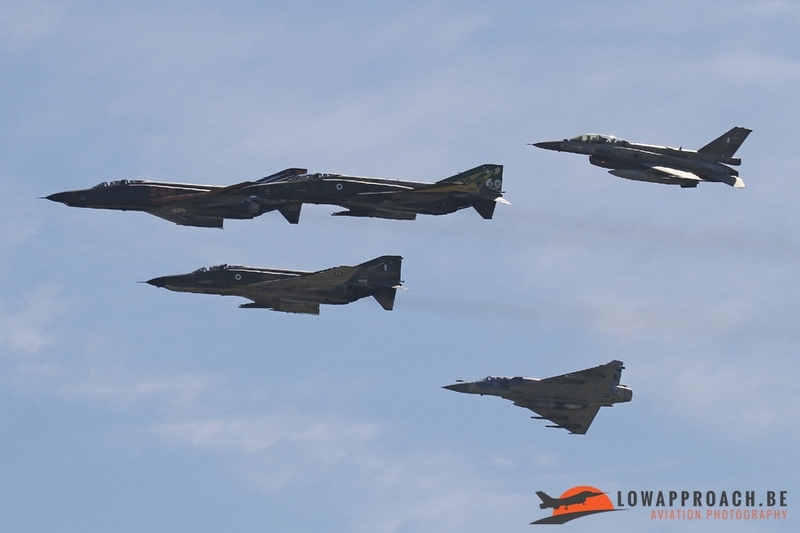 A hour later this event was over. A big contrast compared to the farewell ceremony for the A-7 held at Araxos AFB. 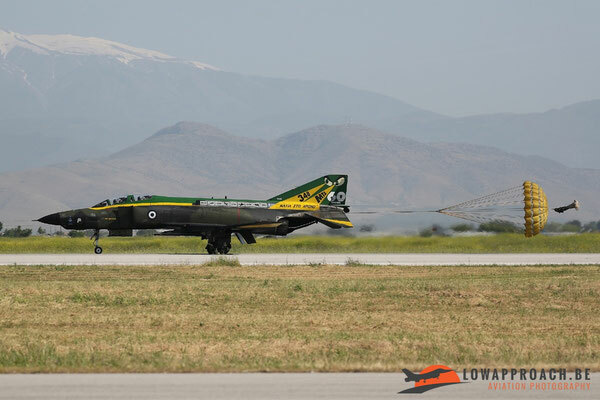 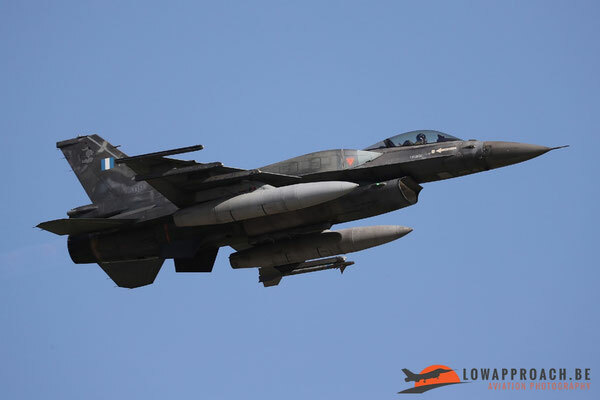 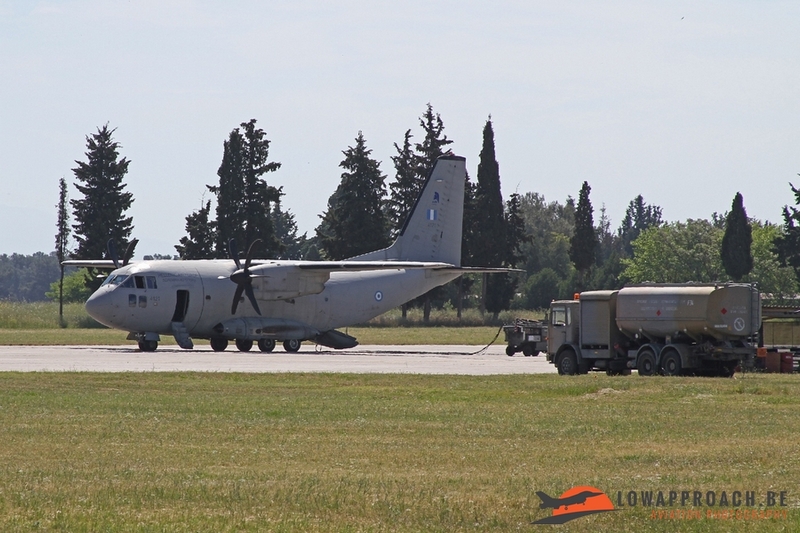 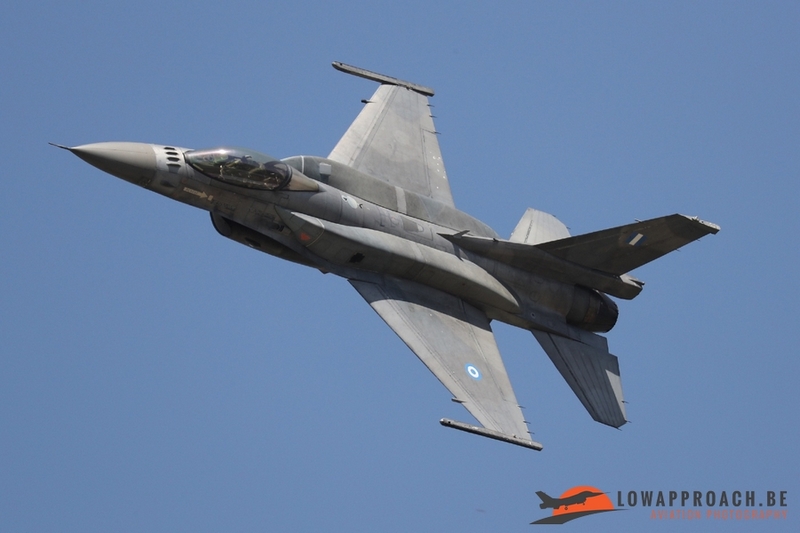 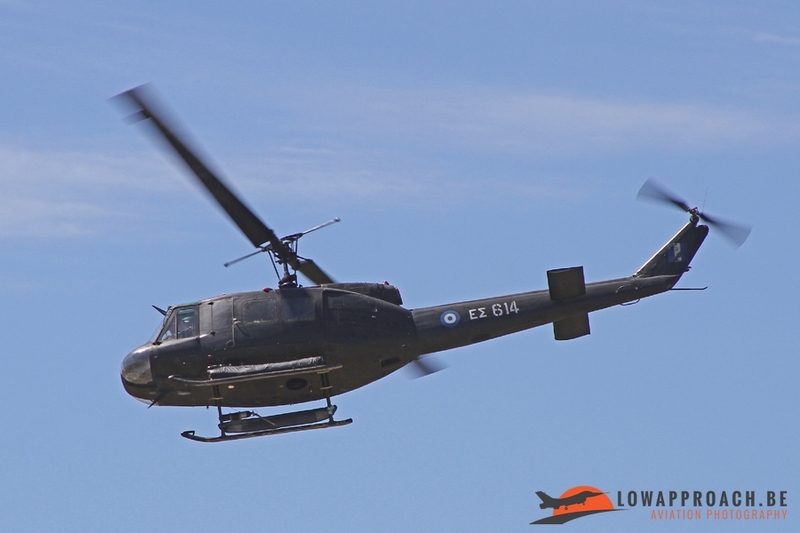 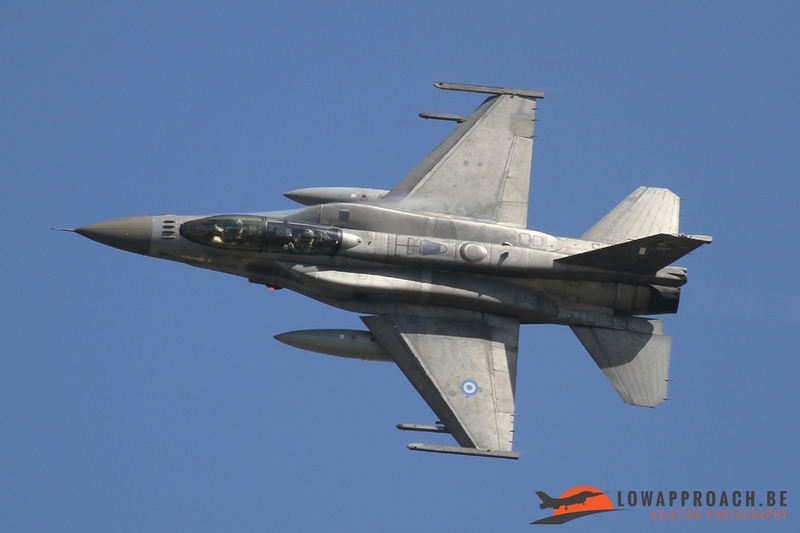 But as mentioned earlier the Squadron did not receive any authorization to organize this event from Greek Air Force Headquarters. 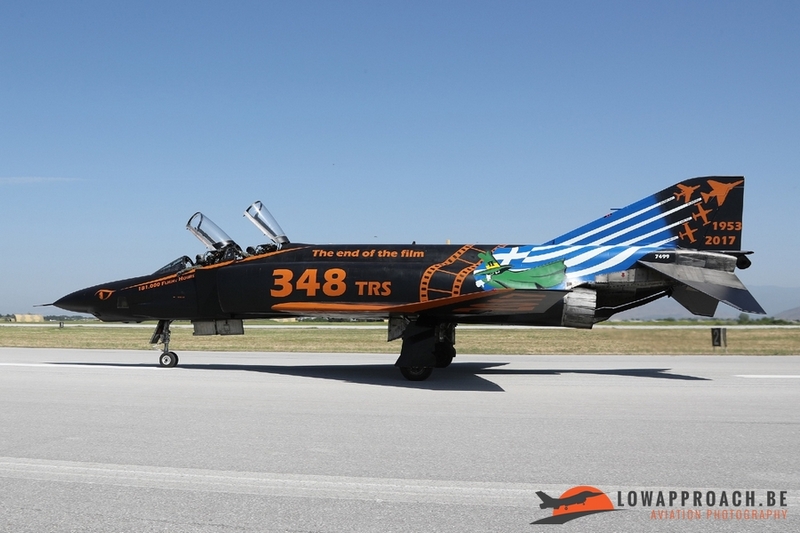 I would like to thank the People of 348 TRS for making these events possible. They did their very best to let us feel welcome.